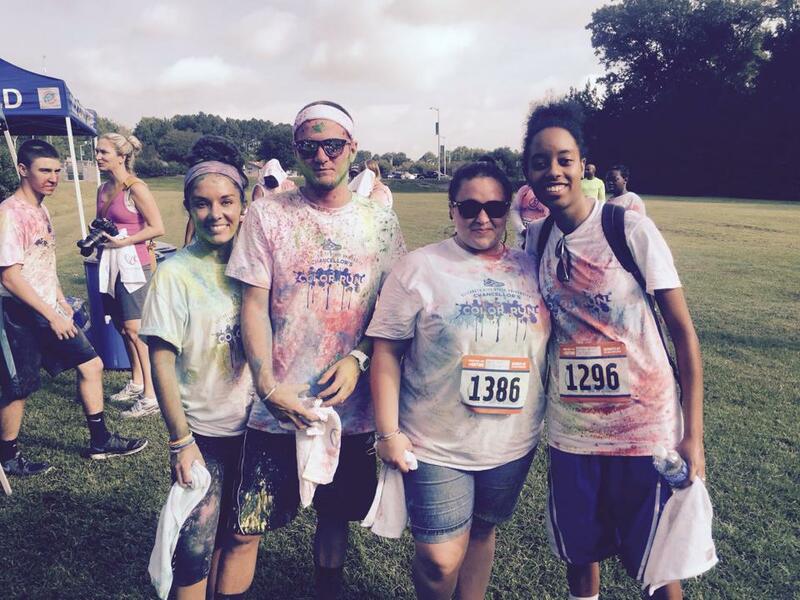 ECSU Chancellor’s Color Run – September 10, 2016 | NC Race Timing and Running Events | Go Time! 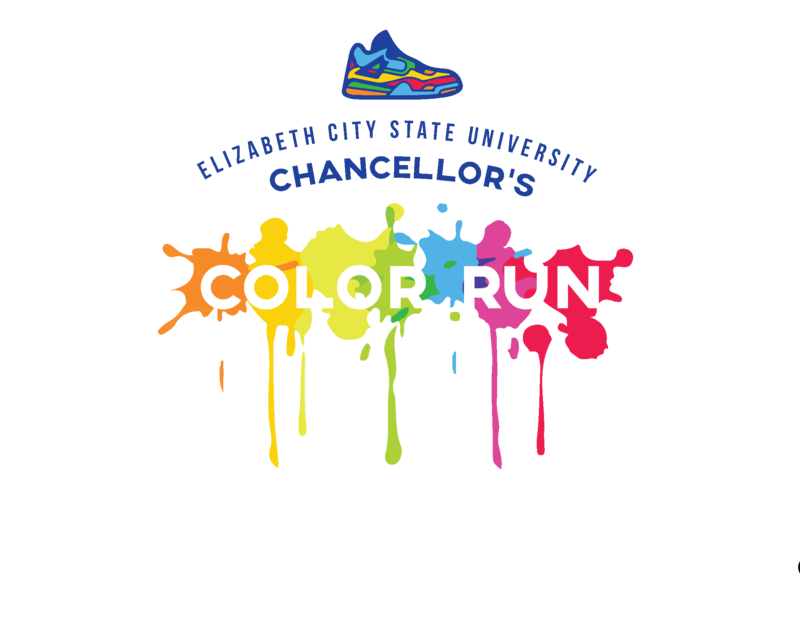 The ECSU Chancellor’s Color Run kicks off on Friday night September 9 at 6 p.m. with Packet Pickup. Saturday brings more vendors, food & fun. 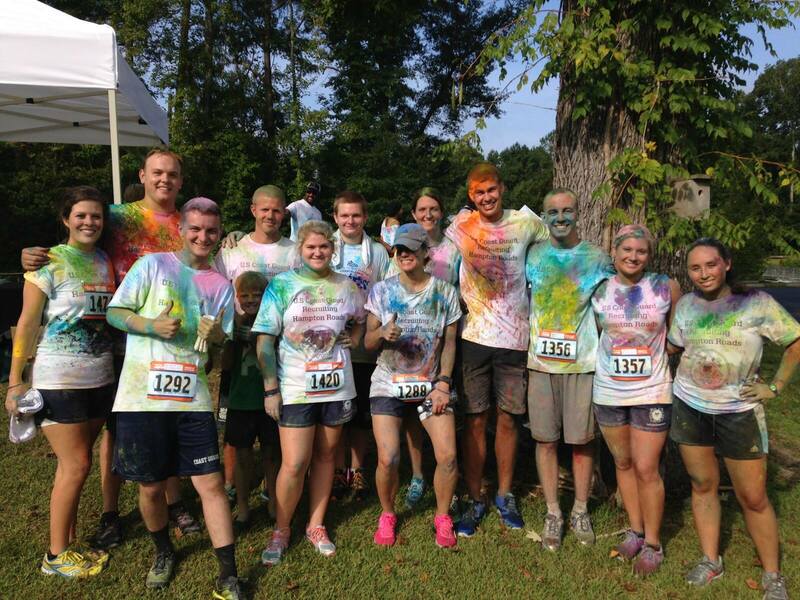 Racing begins at 8:15 for the 5K and the fun run/walk at 8:30. 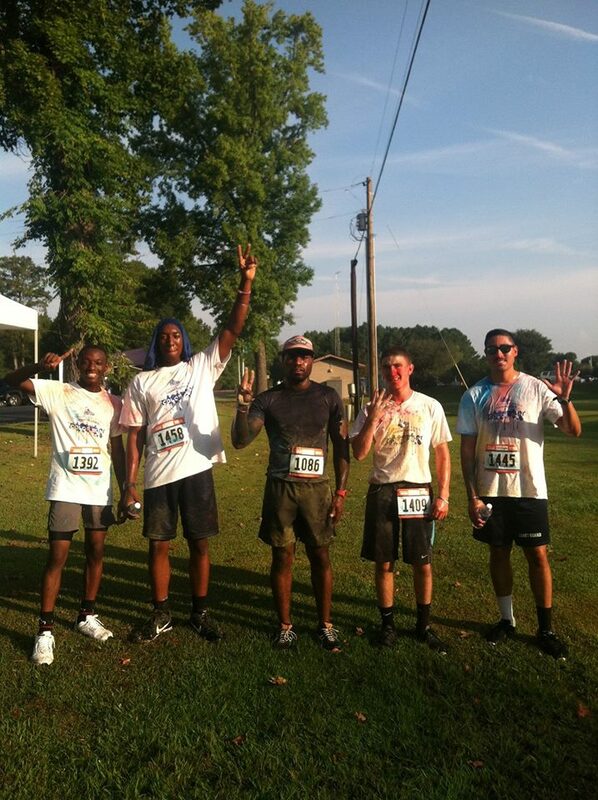 The finish line starts something for the whole family. Kids young and old will enjoy bounce houses, health & wellness activities, food and fun. This year all proceeds will go to ECSU student scholarships in helping to further and empower education on campus and in the area. Participants who register by September 4, 2016 will be guaranteed a race shirt. Shirts are made from Cotton and come in sizes Adult Unisex XS-XXL. Be sure to get yours! Online registration has closed. 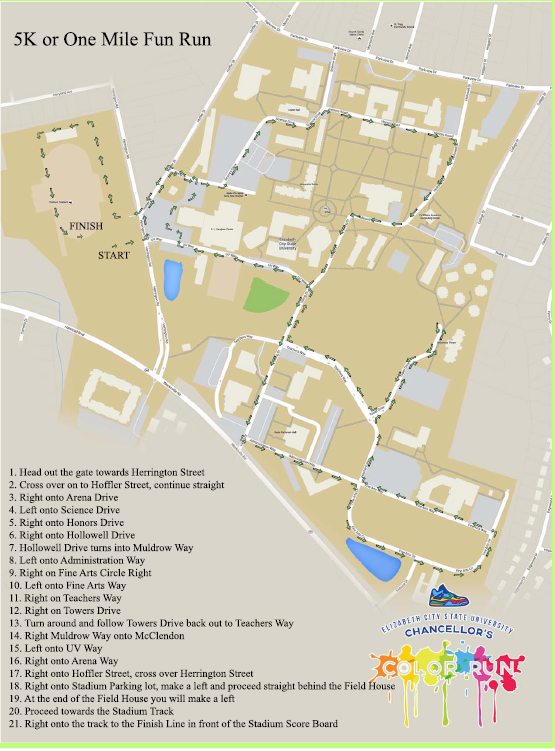 You can still register at the Packet Pickup location listed above, as well as before the race at On-site Registration. Student pricing will still be available at $15 with proof of student I.D.